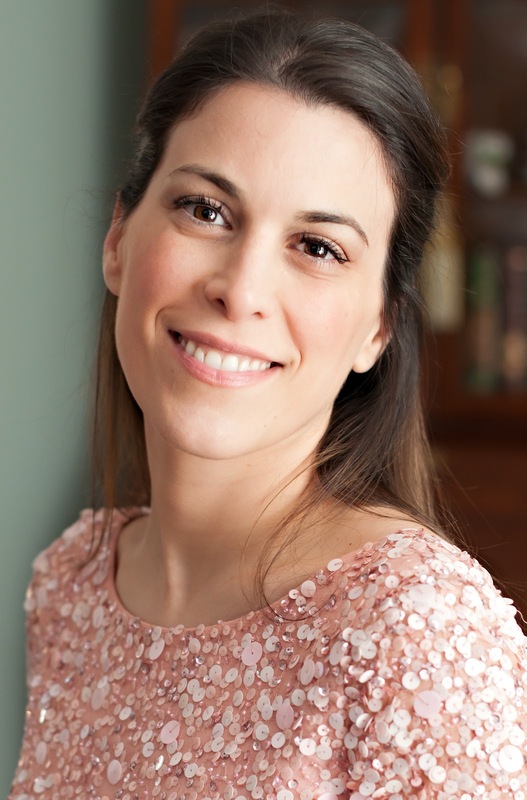 We are thrilled to have this guest blog from Jennifer Baumgarter, Psy.D. 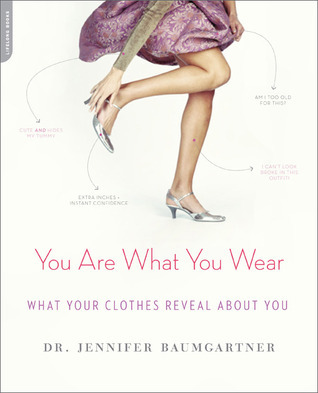 Jennifer is author of You Are What You Wear: What your clothes reveal about you. Here she shows you how to manage your wardrobe wisely. Assess and Clean the Slate: The best wardrobes are built on items that are already in your closet. Before you shop, examine what you already have. Keep what works for your lifestyle, age, body, and coloring, and what actually makes you feel good. Remove anything that does not work with other pieces in your closet, has not been worn, does not work with your external self, and does not enhance the internal. 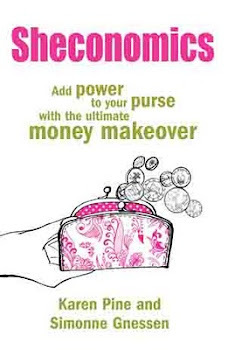 The clothes that you choose to sell or consign will give you the seed money for new pieces. Find Your Look and Stick to It: Don’t walk out the door to shop until you know what your look will be. Use the pieces that remain in your wardrobe as a guide. Determine what your wardrobe classics are, not the ones that you are told are classic. If you are still having trouble, take the time to create a style file with magazine pictures or online images. You will notice a pattern of items and looks that you prefer, and it is those that you should shop for. Anything that doesn’t fit within your look, whether it be colourful or monochromatic, classic or trendy, safari or nautical, should not be purchased. This ensures that all items work together, and you will actually get wear out of what you buy. Less is More: Paradoxically, the fewer pieces you have in your wardrobe the more options you have. Spearheaded by Donna Karan in the 1980s, a capsule collection was composed of the least amount of pieces that would create the most outfit options. When you are on a budget you should focus on capsule pieces, such as a sheath dress, jean, blazer, or trousers, that will work in all seasons, for different events, throughout weight fluctuations, etc. 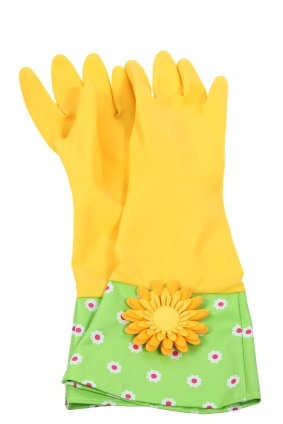 These pieces must be multipurpose and multifunctional…and machine washable! If you must change things up for the season or trend, switch your shoes, jewellery, handbags, and other accessories that are often less expensive items. Shop Smart: Before you swipe that card or take out that cash, answer one question as objectively as you can: Is this item a need or a want? If it is a want, and you are concerned about your budget, put the item back. If the item is a need, buy if you are able to afford it. When buying during sales or in discount or second hand stores, where you may be more tempted to buy inexpensive items, ask the same question. This also holds true when shopping with friends or sales associates who might influence you to buy items when you don’t truly need them. Treating oneself is important, but if your financial situation does not allow for extravagances, buying out of want is merely a waste of money that is better suited for a need. Read more on Jennifer's blog on The Psychology of Dress here. Why do some women dress down? We probably all know a woman who, despite her model figure and gorgeous face, doesn't want to be noticed. So she wears camouflage clothes. Not of the army surplus variety, I mean clothes that blend into the background. Often her other half has an ego so huge she’s creeping around in his shadow. It’s the human equivalent of the spectacularly flashy peacock with his bland bride. It makes me wonder whether someone has told Kate Middleton to ‘tone it down a bit, love’ for fear she outshines her prince. We all know what happens when a royal girl does that. Trouble is, if a woman is suppressing her appearance how much of her personality is she also giving up? Appearance anxiety lies behind a lot of dowdy dressing. Many women suffer from body dissatisfaction, and even have feelings of disgust about their physical appearance. These women end up hiding from their own bodies. But they may also be hiding from themselves. Deep down there may be parts of their inner self they are denying. The answer might be to dress as the person they'd like to be, to try and trick the psyche into a more positive state. Try bright saturated hues, funky prints and playful accessories. Everyone knows about comfort food. It’s the bad stuff you eat when you think you deserve it and can’t give a toss about the consequences. I think there’s comfort shopping too. And comfort clothing. The wardrobe equivalent of hob-nobs and chocolate cake. Clothes that are bad for you but beckon to you when feeling down. Jeans and baggy tops are the hob-nobs and chocolate cake of the female wardrobe, my recent research found. They’re comfort clothes that women reach for when they’re in the doldrums. But when she sees in the mirror how rubbish she looks those negative feelings get reinforced. That's where a downward spiral can begin. But just as it's best not to have too many hob-nobs in the house if you've a biscuit habit, the trick here is to purge your wardrobe of those bad-for-you items too. Start by binning anything that's beige and boring. I’ve been working with Vogue in Turkey to come up with ideas for mood-enhancing outfits. The prospect that an outfit could ward off depression is very appealing, a nice alternative to drugs. More to come on that soon. Meanwhile I’m off to put on something neon-bright and snug-fitting. As soon as I’ve finished this chocolate cake. Interested in the psychology of fashion? Then you'll love the guest blog coming later this week from Dr Jennifer Baumgartner, author of You Are What You Wear. Sign up to follow this blog now. On her financial coaching site Simonne has come up with 10 great suggestions to help you spring clean your finances. These are simple and sensible things that we can all do to freshen things up in the money department. She suggests you pick one and do it now. It really is like a breath of fresh air. I suggest you skip over there pretty quick and pick one of the ten, via this link. “Just hold it,” I heard the man in the Apple shop say to the young executive who had been gazing longingly at the new iPad. "Don’t touch it" I wanted to say, "unless you really want to take it home with you." Touching an object increases our desire for it. Luckily I can hold back in these situations. I could get banned from so many shops otherwise. I wanted to warn the guy against touching because research shows that when we touch an object we’re more likely to buy it. In fact, once we’ve touched it we’ll pay more for it. If it feels nice that is. 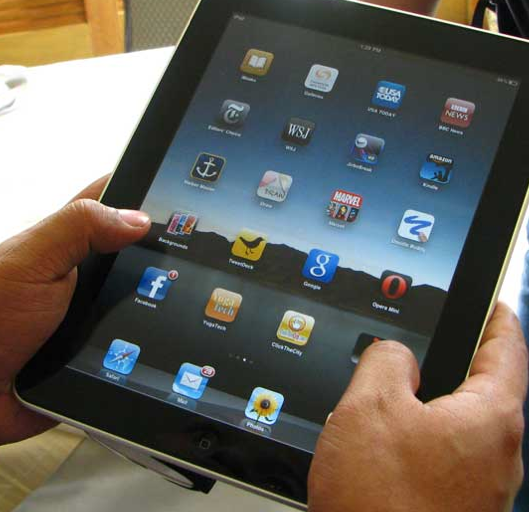 And, let’s face it, Apple products feel nice. Someone once described them to me as ‘lickable’. But going around licking stuff in shops would get us banned, so maybe holding them is the next best pleasure. You see we’re used to touching stuff that we own. So, when we touch something in a shop, our sense of ownership is increased. And since we prefer the stuff that we own to other stuff, we’re prepared to pay more for it. No wonder so much impulse buying goes on. An eminent media coach once told me to get my audience to pass a copy of my book to the person at the far back of the room. “Then everyone who’s touched it will want it,” he said. I've never tested that one out (just in case it got passed right back to me). Our sense of touch is so fundamental that we like to have it stimulated when we’re feeling a bit low. When young mammals are sick or lost, the brain tries to replenish them by making them more sensitive to touch. Then they enjoy a hug more and can re-bond quickly. It’s the same with consumers. Not that they are injured or have lost their mums, but if they feel a bit depressed their responsivity to the tactile aspects of goods is increased. So if you shop when you feel depressed, and touch a lot of stuff, don’t be surprised if your credit card feels the pain. We may like touching stuff in shops but we sure don’t want to rub shoulders with other customers. Research shows that even being brushed by a fellow shopper makes consumers more likely to head for the exit. Dr Brett Martin actually did an experiment to test this, half the consumers were brushed against while looking at a product, half weren’t (I know, us psychologists have all the fun). The touched-ones left the store quicker and reported more negative feelings towards the brand afterwards, than those left ‘untouched’. So a store with narrow aisles crammed with goods is not making it easy for their customers to buy. OK you might find the stuff about shopping and touching a bit trivial. 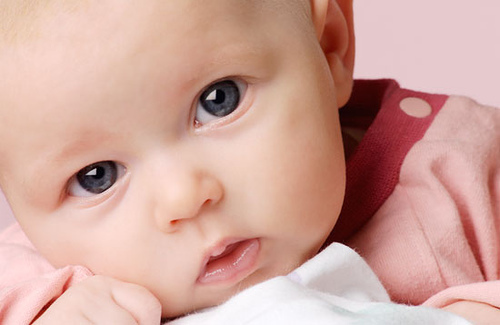 But did you know that babies who get more cuddles are more able to resist drugs as adults? 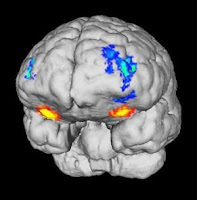 This was first shown in studies with rats. Mother rats who were more nurturing and attentive produced specific changes in the immune responses in the brains of their pups, leaving them more able to resist the temptation of a dose of morphine later in life. So not only does a mother’s touch actually change brain functioning, scientists now think it’s also protective against later drug abuse.